With half of China’s ultra-wealthy moving overseas, it has sparked the question who exactly are Asia’s richest families? Explore the list below for a breakdown of the 9 Hong Kong families recently mentioned on Forbes’s 2017 list of Asia’s richest families. The Kwok brothers are real estate tycoons whose company holds a market value of $32 billion which happens to be roughly equivalent to 14% of the entire Hong Kong economy. Some of their buildings forming the iconic city skyline are the International Commerce Centre, which is also the tallest building in Hong Kong, and One IFC and Two IFC, where various international investment banks make their home. Patriarch Lee Shau See cofunded Sun Hung Kai with the father of the Kwok brothers, Kwok Tak-Seng. He went on to establish Henderson Development which makes up the bulk of his family’s wealth. Lee grew up in a poor family and created a wealthy future for himself and his family. He’s a philanthropist who has donated over $400M towards education over the years. Patriarch Cheng Yu-tung passed away in September 2016. The eldest son, Henry assumed the role of chairman and executive director of the family-controlled business. Their interests range from communications to casinos. They acquired top-end Rosewood Hotels in 2011 and run New World and C Ventures which fund fashion-focused Chinese companies catering to millennials. Shipping tycoon Y.K. Pao died in 1991 and split his businesses among his 4 daughters, whose husbands took over. The majority of the family’s wealth is controlled by daughter Bessie’s husband, Peter Woo, who chaired property and logistics conglomerate Wharf and then passed on the responsibilities to their son Douglas. 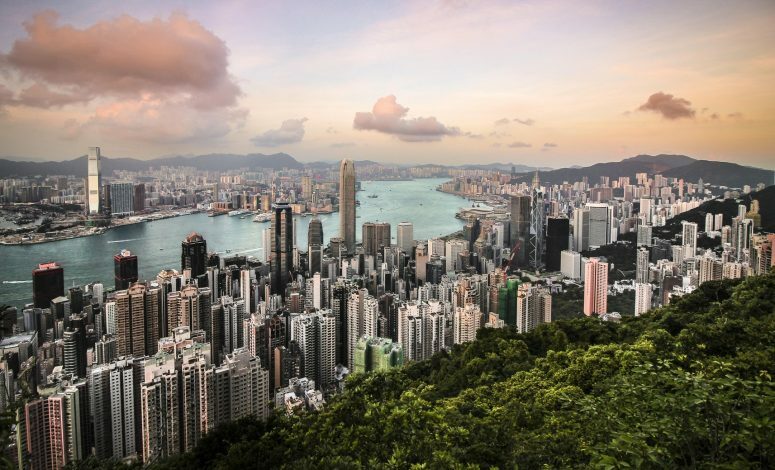 The family supplies approximately 80% of Hong Kong’s electricity. Michael Kadoorie is actually Indian-born and he is the owner of the Peninsula Hotels group as well as non-executive chairman and shareholder of The Hong Kong & Shanghai Hotels. The majority of the family’s wealth comes from Lee Kum Kee, the world’s largest maker of oyster sauce. The brand actually launched a Hawaii exclusive Sriracha Mayo sauce in an attempt to become a staple of Hawaiian cuisine. Big Island native and also one of Hawaii’s top chefs, Sheldon Simeon, actually has a signature poke recipe requiring the use of the Lee Kum Kee sauce just as an example of their international reach. The group is chaired by Lee Man Tat who passed control of the sauce business to his son Charlie. He now oversees a vast distribution network in over 100 countries. In August 2017, the family expanded their reach into Europe with the $1.7 billion acquisition of a skyscraper known as the Walkie Talkie whose rooftop Sky Garden has now become a popular attraction in central London. Chairman of Park Hotel Group, Law Car Po, oversees the largest branch of the family fortune originating from the textile trade of his father, Law Ting-pong. Law Kar Po’s son Allen is CEO of Park Hotel located in 11 Asian cities. His daughter Wendy is a lawyer and executive director for Park Capital Group ad oversees the family’s real estate investment. There’s also Kenneth Lo, brother of Law Kar Po, who makes clothes for multiple famous labels such as Uniqlo, H&M, Victoria’s Secret, Abercrombie & Fitch Puma and many others. The brothers control nearly 70% of shipping giant Orient Overseas. While Chee Chen remans chairman and CEO, elder brother Chee Hwa stepped down from the role to serve as Hong Kong’s first chief executive in 1997. The family business was founded almost 70 years ago by their father and has over 270 offices in 60 countries. The family fortune traces back to late property tycoon Lo Ying-Shek who cofounded Great Eagle Company in 1963. Now, eight family members sit on the board while others have branched out on their own. The flagship company is led by son Ka Shui.